Norton Utilities is a collection of tools that optimize the performance of a PC. This donation provides a license for the latest version of this product to be used on up to three computers. 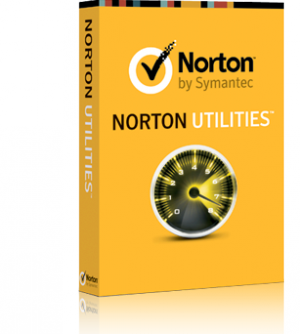 You can use Norton Utilities to save resources by improving the stability and longevity of your organization's PCs. Registry monitoring and cleaning: Notifies the user when the Windows registry is in need of repair; repairs and cleans it. Registry defragmentation: Removes gaps, wasted space, and corrupt keys from the registry. Like registry cleaning, defragmenting allows programs to launch as quickly as possible. Disk cleaning: Provides options for cleaning Windows settings, browser settings, plug-ins, and custom items. It also allows "bleaching" of free space on drives or partitions, which renders deleted data unrecoverable by standard methods. Disk optimization: Defragments and optimizes files and data for increased performance. Disk repair: Checks hard disks and repairs problems that could lead to crashes. Startup management: Allows startup items to be disabled, deleted, or enabled to maximize startup speed. Expect two emails. When your donation request has been approved, TechSoup will send a message to your organization email address with preliminary information about obtaining this product. Shortly after, the donor partner will send an email with information needed to complete the installation or activation.